We were recently in Balham which is a neighbourhood found in South West London. 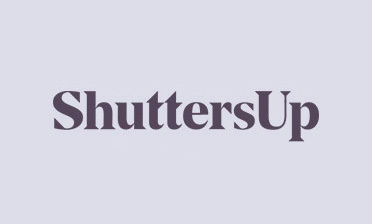 Our fitter Ben was installing shutters for a new customer who was looking to make the most of their privacy and natural light in a room that faced onto a street. With many of these properties looking onto a street, privacy is often needed throughout the day, which makes window dressings such as curtains unsuitable for the job. With blinds it is also not possible to cover the bottom without also covering the top of the window. Our Cafe Style Shutters are the perfect solution, made up of a bottom section for privacy while still allowing light to stream in through the top half. You can also combine this style with curtains. 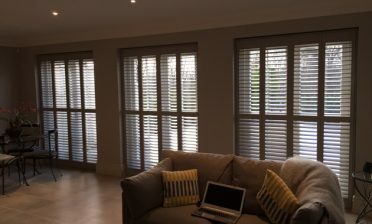 These shutters were fitted to a bay window on the bottom floor of the property using LDF material from our Bali Range. This is a lightweight yet very durable solution which can be painted in 28 colours and stained in 20! The customer opted for a standard Pure White finish with matching hinges which best suits the existing look of the room. These cafe style shutters feature 64mm louvres and centralised tilt rods, making for a traditional look which blends very well with the style of window and property that they were fitted to.